Want to tap into the life experience of older generations? Here’s how some charities are doing it. Older volunteers are a significant force in the UK. In a poll for Charities Aid Foundation, one in 10 people aged 65 or over said they'd volunteered during the previous year. Two fifths of over 60s, according to earlier research by Royal Voluntary Service (RVS), were volunteering for two or more charities. They’re not just helping close to home: at Voluntary Service Overseas (VSO), which sends experienced professionals to work in developing countries, half of all UK applicants in the last year were over 50. But though more likely than younger generations to donate to charity, Charities Aid Foundation says older people are less likely to volunteer, and a significant barrier is not knowing where to find the opportunities. Doing nothing to change this could prove costly. 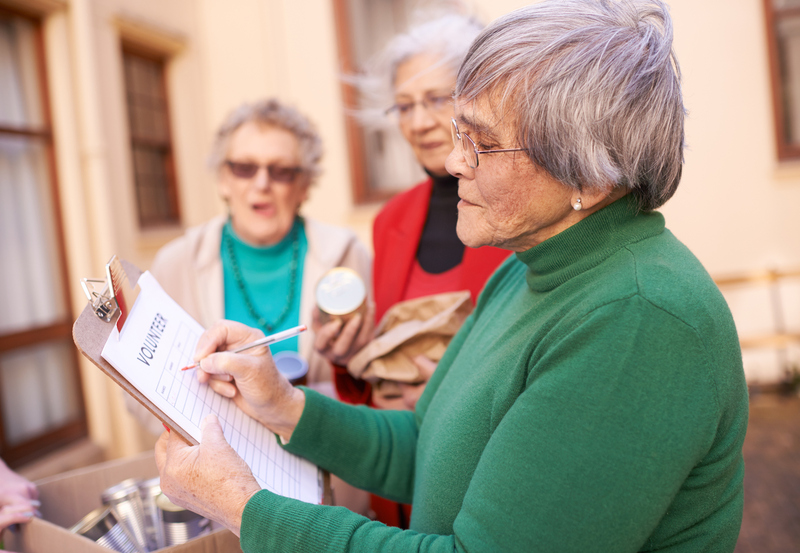 Nearly a quarter of the UK population will be aged 65 or over by 2033, and the Commission on the Voluntary Sector and Ageing has warned that failing to attract people at all stages of life would mean charities risk losing out on a potential volunteer effort worth £5.3 billion. MissionBox spoke to several organisations working with older volunteers. Here’s what we learned. 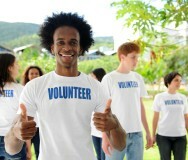 RVS, most of whose 35,000 volunteers are aged 60-75, routinely advertises opportunities via national and local media. Most successful, though, is word of mouth, says head of strategy and development Allison Smith. The charity asks existing volunteers to tell friends who may be interested, while some volunteers also host recruitment events or speak to community groups about their experience. Whoever you're trying to reach, it’s important to go where that audience is, says Haylie Read, communications manager at Volunteering Matters, which has some 10,000 over-50s volunteering across the UK, many through its Retired and Senior Volunteer Programme (RSVP). That might mean posting vacancies in community centres or social clubs, or advertising on Facebook or in the local newspaper. Recruitment material that highlights volunteers’ stories can help convince newcomers to sign up. Think about the messenger, though, advises Natalie Turner, a senior programme manager at the Centre for Ageing Better: do posters portray only younger volunteers in action, or will viewers see people of all ages? Organisations should involve older people in designing volunteer roles and deciding on what issues are important to them, says Kristen Stephenson, volunteering development manager at the National Council for Voluntary Organisations (NCVO). An example is Volunteering Matters’ RSVP: in response to local community needs, over-50s take the lead in setting up and participating in voluntary activities that improve health and well-being, from sports clubs to employability skills workshops to knitting groups. Retirees are likely to be more able to commit to a set time each week than those still in work. Homelessness charity The Passage, for example, relies heavily on older volunteers who fill many of the weekday shifts in their kitchen. Charities shouldn’t just assume, though, that older people are available or that retirement is an inevitable trigger for starting to volunteer. More and more of us work later in life; retirees are helping out with children and grandchildren, or even looking after elderly parents. Turner warns against false assumptions about the effects this can have: someone caring for a grandchild is in fact more likely to volunteer, for instance. But nonprofits know they need to account for busier lifestyles, at all ages. "You need to be quite flexible in the range of opportunities you offer, as later life is being redefined," Smith says. That goes for both skilled and unskilled work. The report of the Commission on the Voluntary Sector and Ageing calls for "new types of flexible, skilled volunteer roles and consultancy-style internships" to appeal to those looking for ways to lend their expertise in their older years. In previous decades people might sign up to roles that effectively lasted a lifetime, says Fulvio Ornato, volunteer support coordinator at overseas development charity CAFOD, which has over 5,000 volunteers in England and Wales. Today, he says, "volunteering in that format won’t appeal to many." The charity now offer much greater flexibility. "The volunteer agrees the duration with the volunteer manager on a one-to-one basis, and review it as it goes," says Ornato. 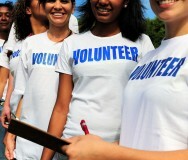 Some roles, such as area coordinators who support a group of volunteers, require a minimum commitment of one year; others just three months. In general, though, says Ornato, the approach is to "adjust to the needs of the volunteer." Offering even lower-commitment options such as microvolunteering could also attract people. At The Passage, volunteers can give ad hoc help counting money after a street collection, or once a month preparing Sunday brunch. At Enrych, which matches a volunteer with someone with a disability around a common interest, some partnerships continue for several years, but volunteers can also choose something shorter term — for example six weekly sessions helping someone to use Skype. Health can be an issue. At The Passage — where several volunteers are in their 80s — staff ask new volunteers about any long-term health issues needing support, mainly for health and safety reasons; if someone wants to help out, the charity says there'll always be a role for them. While hospital appointments do come up among the older volunteers, they're "very committed," says volunteer manager Fran Hodge, and "as long as there’s a system in place to let you know about absences, that’s not really a problem." Adjusting to older people's needs doesn’t have to mean big changes, says Turner. Offering flexible working hours so someone who struggles with walking can avoid traveling at rush hour, ensuring that materials are adapted for poor eyesight, or not insisting that someone with hearing problems has to use the phone — all these overlap with what an organisation may already be striving towards as an equal opportunities employer. At Enrych, the needs of the volunteer are taken into account as much as those of the person they’re supporting. Activities like playing chess or chatting in a foreign language usually take place in the disabled person’s home or in a community venue, for example — but if the volunteer happens to be the less mobile of the pair, says operations manager Rachel Chai, they might meet at the volunteer’s home instead. Other ways to help out from home include Enrych's 'Phone Pal' project. How can an organisation make the most of older people's life experience? Smith suggests "more targeted interviewing" to understand a potential volunteer’s skills and experience, as well as their interests. For example, promoting or fundraising for a service locally could benefit from volunteers with a background in marketing. Those with health or social care experience can contribute to RVS programs supporting people after a stay in hospital; former business managers can help with the strategic side of setting up community initiatives. It’s not just professional expertise. Knowing a volunteer’s hobbies, previous jobs or even countries lived in can help an organisation to deliver a better service, says Smith. "We might have a client who needs a bit of extra support and confidence-building after a fall. We know that he was a keen rambler before his fall and loves cricket — and that this also matches the interests of one of our volunteers," says Smith. Those who have learned IT skills recently themselves are often best placed to help teach someone else, says Chai, because their own learning is still fresh. And one volunteer taught a client at Enrych how to cook and eat healthily; the pair then did cookery demonstrations together for other volunteers and clients. "It was fantastic to see those skills being used in that way," says Chai. With older generations increasingly IT-savvy, charities should no longer assume they must go offline to reach them. CAFOD, whose volunteers’ average age is in the late 60s, uses webinars and online modules for most volunteer training. Feedback is positive, and getting connected has rarely been an issue, says Ornato. 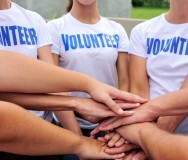 The charity is now developing an online community for volunteers. Equally, though, you can’t assume that everyone is connected. At The Passage, some volunteers don’t have email addresses, so staff need to contact them via phone or post. At Enrych, whether thinking about staff, volunteers or clients — disabled people are less likely to have access to the internet than the general population — the goal is accessibility for everyone, explains Chai. The organisation’s policy of 'multi-platform entry' means you can read and apply for volunteer roles online, but also find them on noticeboards at leisure centres or community centres and submit applications by post. "We always ask people how they want to be contacted, do they need large print, and so on," says Chai. "We’re not making any assumptions about the way people can access [information]." In the past, a volunteer was just a person you asked for help, says Ornato. Now, the approach is: "What can we offer to the volunteer? How can we make sure a volunteer benefits from this experience? It’s a much more healthy way of looking at it." There’s now clear evidence that volunteering is good for wellbeing and social connections — something the Centre for Ageing Better says organisations can confidently state when recruiting new volunteers or applying for funding for a volunteer-led initiative. But since those who stand to benefit most are also those least likely to get involved in the first place — in Turner’s words, "the healthier, wealthier and whiter you are, the more likely you are to do formal volunteering" — charities could work harder to diversify their volunteer pool. They also need to ensure that older people are given meaningful roles, the chance to interact with others, and recognition for their contribution. "Keeping people connected within their communities, and [making them feel] valued is really important, especially once [they] disengage from the labour market," says Smith. Read more from Enrych, RVS, Centre for Ageing Better, Volunteering Matters, The Passage and CAFOD.